Tehran's comment comes after several cases of Israeli officials threatening Iran under various pretexts. Tel Aviv accuses the Islamic Republic of allegedly sending troops and weapons to Syria in order to later use them against the Jewish state. Gholamali Khoshroo, Iranian envoy to the United Nations has called Israel a rogue state and urged all states supporting it to stop doing so in his statement to the UN Security Council on April 26. The statement follows aggressive rhetoric from Tel Aviv, which has threatened to conduct strikes against Iran. "Indeed, Israel is a rogue regime, by definition — this is an undeniable fact for the international community, except for those who believe illegal occupation, illegal settlements, apartheid, siege, and regular attacks of mass murder are the legitimate actions of a regime that proclaims itself as the only democracy in the Middle East," Khoshroo said. He criticized the US and other members of the council for fueling Tel Aviv's sense of being above the international law, which allows it to act unrestricted and undermine peace in the region without consequences. "The impunity this regime has enjoyed for so long wouldn't have been possible without the help it receives from the US and certain interest groups," the envoy added. O April 26, Israeli Defense Minister Avigdor Lieberman, in an interview with the Saudi Elaph online media outlet, threatened to "hit Tehran" if it attacks Tel Aviv. Earlier, during the celebration of the 70th anniversary of the Jewish state, Prime Minister Benjamin Netanyahu promised that "anyone who raises a hand against [Israel] won't be spared." Iranian-Israeli relations have always been tense, with Tehran not recognizing Israel's right to exist. Israel claims that Iran has a military presence in the war-torn Syria that it intends to use against Israel. Tehran denies the allegations, claiming that it is only sending military advisors and humanitarian aid to the Arab Republic. 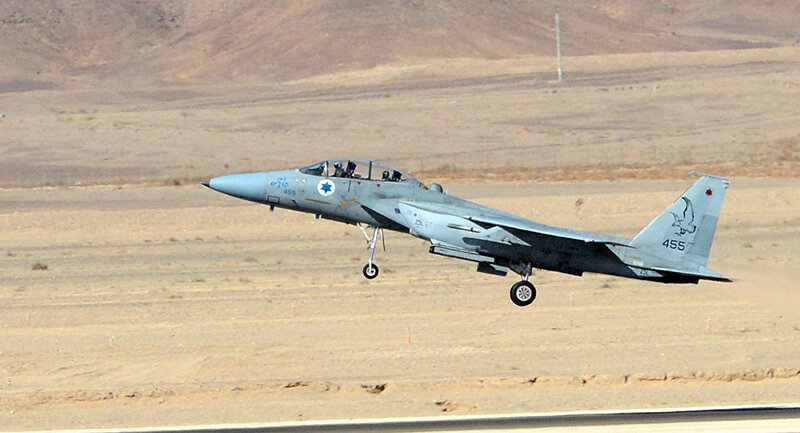 The Israeli air force conducted airstrikes against the Syrian T-4 airbase in February and April. Tel Aviv announced that the strikes targeted "Iran's bases in Syria," which Tehran had allegedly been planning to use in order to strike Israel. Syria and Iran have slammed the attacks, also saying that several Iranian military advisers had been killed in the strike.